SALISBURY, N.C.— Rowan-Cabarrus Community College was one of 10 community colleges in the nation selected as a finalist for the national Bellwether Awards. Rowan-Cabarrus was selected as a finalist in the planning, governance, and finance category. 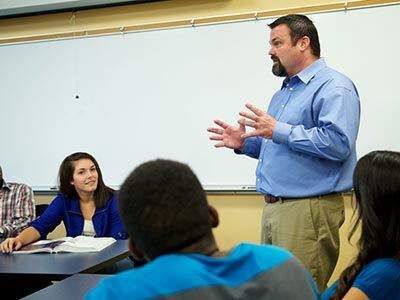 One of four North Carolina Community Colleges named a Bellwether finalist, Rowan-Cabarrus was selected for an e-textbook initiative. 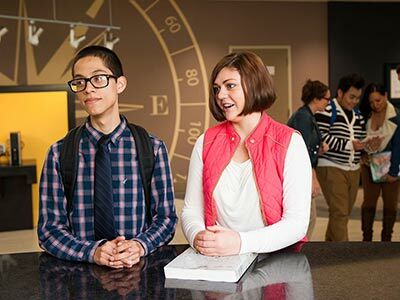 The Bellwether Awards recognize outstanding and innovative programs and practices that are successfully leading community colleges into the future. Finalists are competitively selected based upon how well the program addresses the conference theme, an identified critical issue, and the published criteria. Rowan-Cabarrus presented their e-text initiative, which the College utilizes to provide affordable, accessible, and adaptable resources though various digital learning platforms to students. The presentation illustrated progressive student success over a three-year period, highlighting course completion (grades A-C) and course retention (from 10 percent/census to end of course) in three major areas: English, information technologies, and mathematics. Established in 1995, the Bellwether Awards are an integral part of the Community College Futures Assembly. The Assembly is sponsored by the Institute of Higher Education at the University of Florida and focuses on cutting-edge, trendsetting programs that other colleges might find worthy of replicating. The Bellwether Awards are given annually in three categories to colleges with outstanding and innovative programs or practices. “Our e-textbooks help ensure that our students have their learning materials on the very first day of class. There is no delay in waiting for a textbook to arrive. It also allows us to build in critical course content directly into the text. Therefore, the e-textbook is more valuable to both the instructor and the student,” said Dr. Jenny Billings, chair of English, developmental reading & English, & ACA. Conference attendees come from all across the United States, and are comprised of educators, administrators, and professionals from their respective community colleges. “Over the years, the e-text initiative has grown from a way to provide some Rowan-Cabarrus students with their digital materials from day one to a national platform saving students time and money while providing them with immediate access and ADA compliant materials,” said Billings. The Bellwether Awards are sponsored by NCIA, NCCET, and National Council of State Directors of Community Colleges. The Bellwether Futures Assembly is a national conference sponsored by the National Council for Continuing Education and Training. Winners and finalists are invited to join the prestigious Bellwether College Consortium. The annual Bellwether Award is awarded to innovative programs in the following three categories: workforce development, instructional programs and services, and planning, governance and finance. “I am so proud of the faculty and staff at Rowan-Cabarrus Community College. I was honored to see their work come to life in front of the judges. We have a true gem here in Rowan-Cabarrus and we should all be very proud,” said Carl. M. Short, chair of the Rowan-Cabarrus Community College Board of Trustees.